The Fellowship has obtained a first look at THE MICHAEL MOORCOCK LIBRARY - ELRIC VOL. 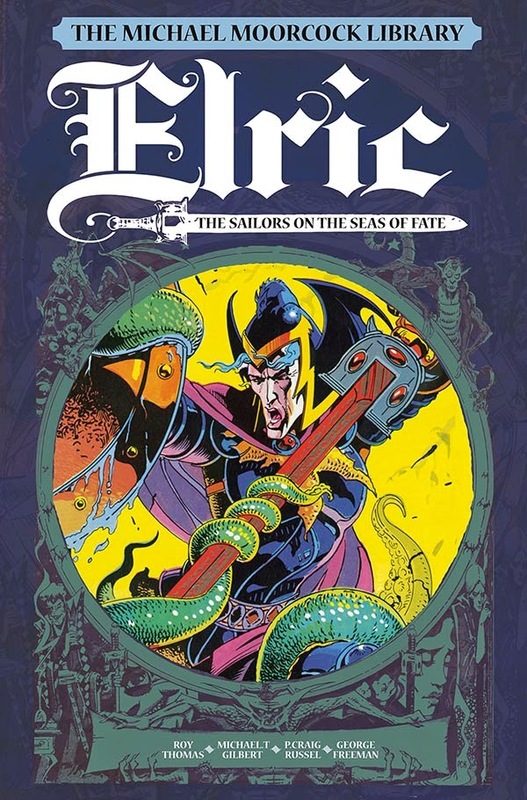 2: THE SAILOR​S​ ON THE SEAS OF FATE from Titan Comics. The graphic novel, which hits stores May 27th, is written by Roy Thomas with art by Michael T. Gilbert​, ​P. Craig Russell​, ​and George Freeman. 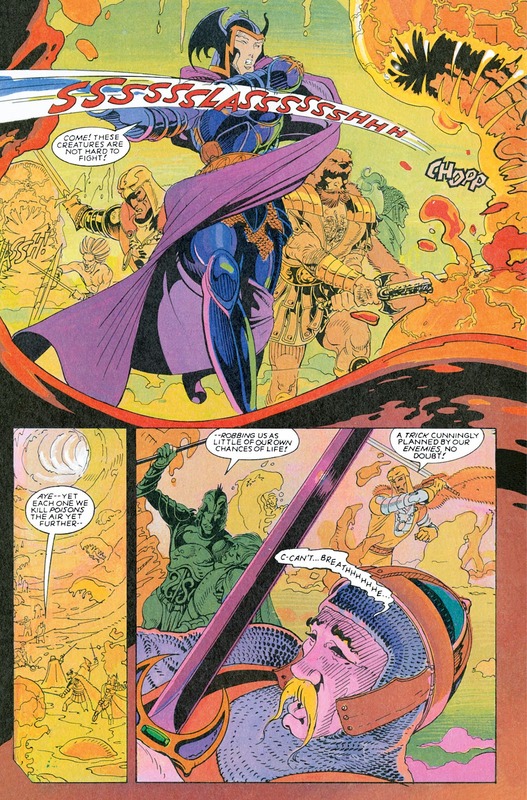 Following his self-exile from Melnibone, Elric is faced with his biggest challenge ever! 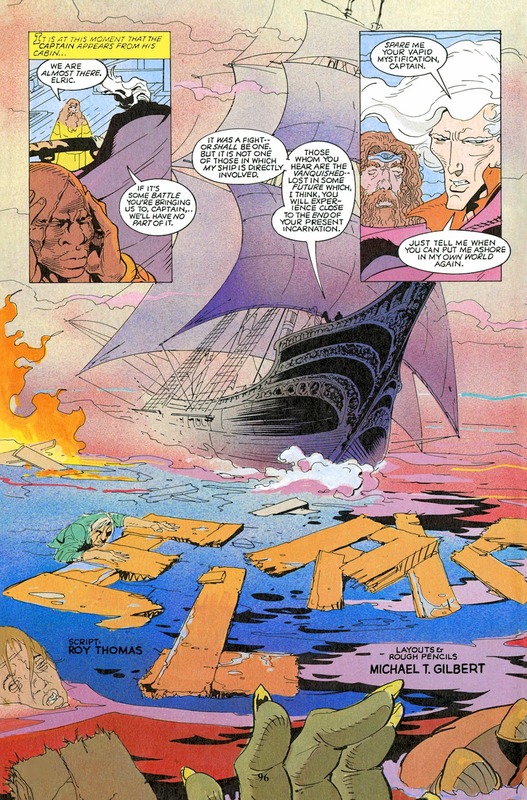 As he lies dying on the shores of an unknown land, he is taken aboard a mysterious ship where time and logic hold no meaning. 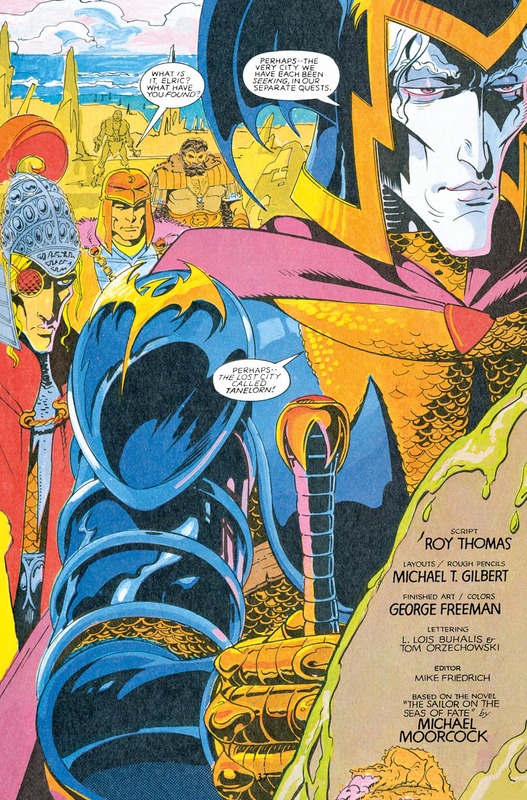 Several other incarnations of the Eternal Champions are there, but why? What could allow the laws of time and space to be broken for these warriors to meet? 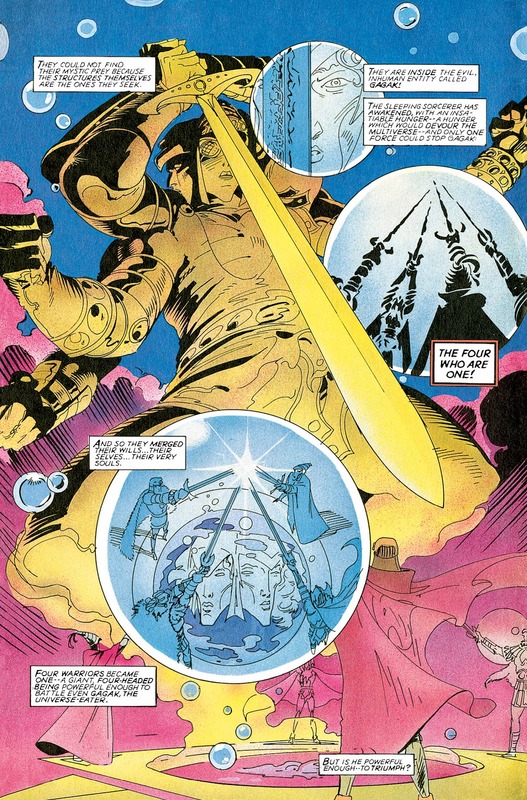 Could Elric learn anything from that which he used to be or that which he shall become? So begins an epic adventure across the black seas and into alternate worlds where the lines between dream and reality blur and otherworldly foes must be defeated in order to save the very fabric of the universe and fulfil the albino emperor’s destiny.